One of my favorite neighborhoods- Briarmeade. 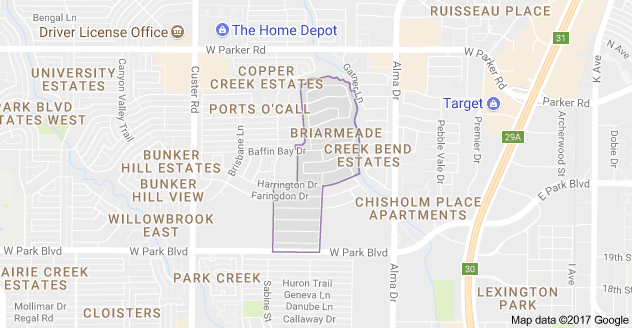 Briarmeade is located in the southern section of Plano, Briarmeade has 433 homes built in the 1980. All of these homes are custom built and in great demand because of the quality of the homes and mostly single story. Your children can walk to K-5 right in the neighborhood. Central Expressway and shopping is not but 1 mile from the entrance and George Bush Expressway is just 1 mile south of the entrance. Plano’s “profile” includes superior transportation system supported by four major arteries, DART rail and bus service, easy access to DFW International Airport and Dallas Love Field. Internationally Accredited Police Department, carrying one of the lowest crime rates for Texas cities over 100,000 population. Accredited Parks and Recreation Department with 80 park sites, 40 miles of recreational trails, two municipal golf courses, six recreation centers, a Senior Center, five swimming pools, outstanding athletic and tennis facilities, 86,400 square foot full-service convention center.